In order to further explore the gene function of miR396a and miR396f in Lilium and to cultivate disease-resistant lily, we first extracted total DNA from Lilium pumilumu, then amplificated miR396a and miR396f precursor fragments using PCR technology. The miR396a and miR396f precursor fragments were digested with BamHI and KpnI, and then respectively constructed into UBI-pCANBIA1301 expression vector with Ubiquitin (Ubi) promoter. Finally, the constructed vector was transformed into Agrobacterium tumefaciens EHA105. This study will lay a foundation for the functional verification of miR396 family in lilium and the cultivation of disease-resistant lily. 包满珠. 花卉学[M]. 北京: 中国农业出版社, 2005: 265-267. 朱茂山, 关天舒. 百合主要病害及其防治关键技术[J]. 辽宁农业科学, 2007(6): 41-43. 刘冬云. 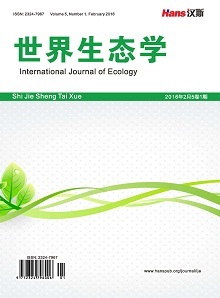 野生山丹种质资源遗传多样性及利用研究[D]: [博士学位论文]. 北京: 北京林业大学, 2011. 李诚, 李俊杰, 薛春胜, 等. 百合枯萎病病原菌鉴定[J]. 植物病理学报, 1996, 26(2): 192-193. Lee, R.C., Feinbatm, R.L. and Ambros, V. (1993) The C. elegans Heterochronic Gene Lin-4 Encodes Small RNAs with Antisense Complementarity to Lin. Cell, 75, 843-845. Reinhart, B.J., Slack, F., Basson, M., Pasqtinelli, A., Bet-tinger, J., Rotgvie, A., Horvitz, H.R. and Rtvktn, G. (2000) The 21-Nucleotide let-7 RNA Regulates Developmental Timing in Caenorhabditis elegans. Nature, 403, 901-906. Jones-Rhoades, M.W., Bartal, D.P. and Bartel, B. (2006) MicroRNAs and Their Regulatory Roles in Plants. Annual Review of Plant Biology, 57, 19-53. 鲍茂林. 拟南芥MIR396家族对靶基因的调控及对根发育的影响[D]: [硕士学位论文]. 杭州: 浙江大学, 2011. Bao, M., Bian, H., Zha, Y., et al. (2014) miR396a-Mediated Basic Helix-Loop-Helix Transcription Factor bHLH74 Repression Acts as a Regulator for Root Growth in Arabidopsis Seedlings. Plant and Cell Physiology, 7, 1343-1353. 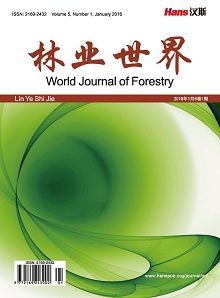 Liu, H.H., Tian, X., Li, Y.J., et al. (2008) Microarray-Based Analysis of Stress-Regulated microRNAs in Arabidopsis thaliana. RNA, 14, 836-843. 黄伟华. 拟南芥26S蛋白酶途径和转录延伸因子Elongator调控叶片近轴面-远轴面极性建成的研究[D]: [硕士学位论文]. 上海: 中国科学院上海生命科学研究院, 2007. 王学全, 沈晓, 何赟绵, 任天年, 吴梧桐, 奚涛. 个奶农杆菌EHA105和LBA4404冻融法转化条件的优化研究[J]. 药物生物技术, 2011, 18(5): 382-386. Beers, E.P., Moreno, T.N. and Callis, J. (1992) Subcellular Localization of Ubiqtutiated Proteins in Arabidopsis thaliana. The Journal of Biological Chemistry, 267, 15432-15439. Sambrook, J., Fritsch, E.F. and Maniatis, T. (2001) Molec-ular Cloning. A Laboratory Manual, 49, 411. 马春业. 农杆菌介导miR396基因对大麦愈伤组织的遗传转化[D]: [硕士学位论文]. 广州: 华中农业大学植物科学技术学院, 2016. 张倩. 麝香百合胚性愈伤诱导及农杆菌介导的遗传转化体系的优化[D]: [硕士学位论文]. 广州: 华中农业大学, 2013. Kim, V.N., Han, J. and Siomi, M.C. (2009) Biogenesis of small RNAs in Animals. Nature Reviews Molecular Cell Biology, 10, 126-139. 肖霞. 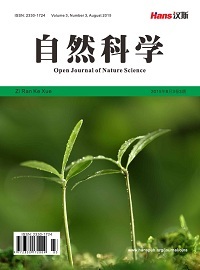 落叶松miR396对体细胞胚发育的调控及GRF基因的表达研究[D]: [硕士学位论文]. 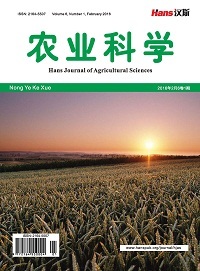 北京: 中国林业科学研究院, 2015. 宋琳琳. 基因枪和农杆菌介导MiR396基因对小麦品种的遗传转化[D]: [硕士学位论文]. 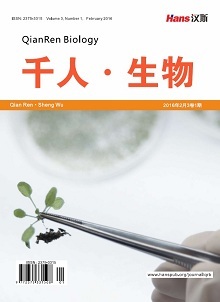 广州: 华中农业大学植物科学技术学院, 2016.